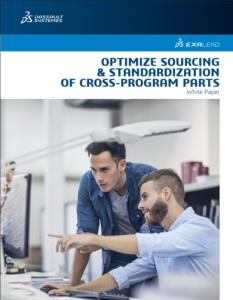 To increase the use of standard, preferred parts at design time, OnePart Reuse on the 3DEXPERIENCE platform provides a search experience for engineers that makes reusing or adapting such parts consistently faster and easier than creating new ones. OnePart Reuse provides intuitive user navigation, ultra-fast query processing, and a unique combination of text and shape search features. The full-text search engine in OnePart Reuse enables engineers to conduct natural language search for parts and related documents, complete with auto-correction and auto-suggest features. The application also automatically generates search refinement menus with each result set to help engineers quickly hone in on parts of interest. Users can alternately launch a search by drawing or clicking on an existing 3D shape. The engine will automatically return all designs of a similar shape, making it easy to scan results and rapidly identify potentially reusable parts and designs. To make a final determination of whether a given part is suitable for reuse, each result set combines semantic data and 2D/3D data, regardless of whether text or shape search was used to launch the query. This combined data is essential for distinguishing between seemingly identical parts, and determining if a given part truly meets all engineering requirements. Furthermore, the designer’s decision to reuse is driven by product data managers and/or sourcing professionals who define the company’s master parts. 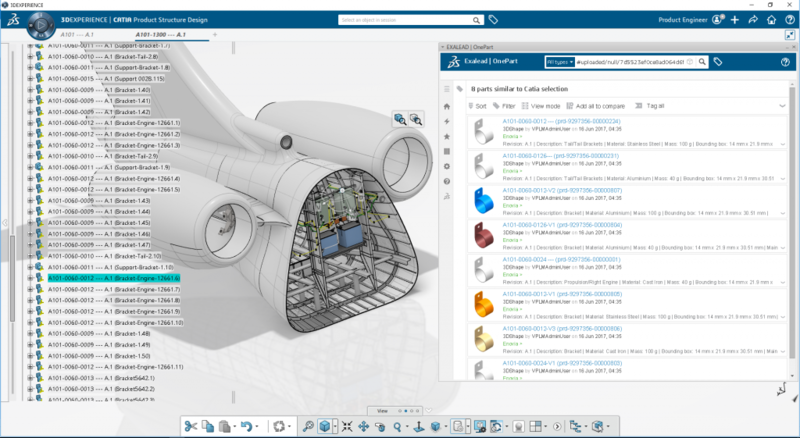 To encourage reuse and maximize engineering productivity, the OnePart Reuse application is accessible on the Web via an Internet browser, or embedded in Dassault Systèmes’ popular CATIA software.